Most people have heard about the ever feared “root canal.” Dr. Horn specializes in endodontics in the Minneapolis area, and can relieve you of your root canal jitters or misconceptions. In order to understand this endodontic treatment, it would be helpful to know a little bit about the anatomy of the tooth. Under the white outer layer of enamel and the next hard layer called dentin, there is soft tissue called the pulp. The pulp is the life of the tooth for it contains blood vessels, nerves, and connective tissues. The pulp extends from the crown of the tooth to the tip of the roots. Endodontic treatment is needed when the pulp becomes inflamed or infected. 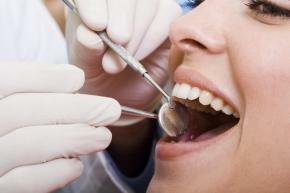 This can happen for a variety of reasons such as deep decay, a crack or an injury to the tooth. If left untreated it can cause pain and lead to an abcess. Dr. Horn will remove the infected pulp and carefully clean and shape the inside canal and fill the space and seal it. At Dr. Horn’s office, her and her team will thoroughly explain how the treatment works and make sure your visit is comfortable and pain free. So call for an appointment and ask about endodontics in the Minneapolis area.